In Why We Make Gardens (& Other Poems), Jeanne Larsen offers us poems filled with sustenance and surprise. In precise, meditative language, she investigates a full range of experience and feeling, from bodily desire to rage to astonishment at the wonders (and betrayals) we find in the world. Some poems grow out of visits to the homes of such writers as Mark Twain, Emily Dickinson, and Anne Spencer, searching out what we might gather from the lives they cultivated, and from their art. Others draw us into gardens of the heart and mind, enacting the continual inconstancies of language and the passions. All celebrate elemental things: the dreamlike, palpable nature of what we perceive, the twin gifts of familiarity and strangeness, the astounding human capacity for seeing, or creating, likenesses. Here is a poet perceptive and skilled. Here is a book where each poem is a garden, a rhythmic field of change, an artificial paradise, a time-marked place of pleasure and renewal. go bare: petioles crumple, racemes fall. is a sword to it. Burned, it springs back. 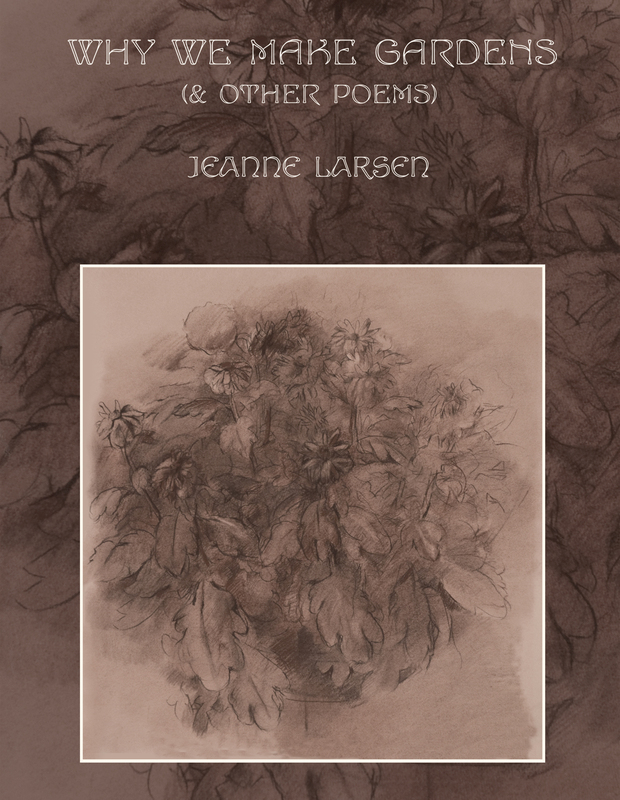 Jeanne Larsen’s first book, James Cook in Search of Terra Incognita, won the AWP annual award series in poetry. She subsequently published two collections of translations as well as three novels. A new novel, Sally Paradiso, is out in e-format from Brown Fedora Books. Her poetry, fiction, and essays have appeared in many journals, and she has received numerous grants and awards. 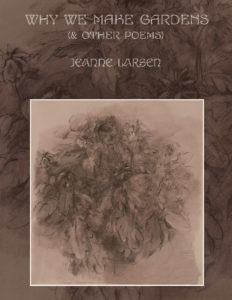 Most of the time, Jeanne Larsen lives in southwest Virginia’s Roanoke Valley, just west of the Blue Ridge. She is currently Susan Gager Jackson Professor of Creative Writing at Hollins University.